A spa treatment is pretty much any therapeutic or beauty service that a spa offers. The most common and well known spa treatment out there is the massage, but most spa enthusiasts will know that there is a wide variety of treatments that clients can get individually or as a package, all of which having their own respective health benefits. Some of these other spa treatments include body treatments like scrubs and wraps as well as all manner of facials. There are also treatments for the hands and feet like the usual manicure and pedicure. Other spas, still, offer salon services like haircuts, styling, and even makeup. And of course, most spas offer special rates for a combination of two or more of these treatments for those who want to spend an entire day being pampered in a spa. All these services are laid down in every spa’s menu, complete with brief descriptions and rates. The treatments of the same type are all grouped together along a variety of categories for your convenience. Below are some of the more common services you’ll see in a typical spa’s menu. This is by far the most basic type of spa treatment there is. The massage, however, comes in many forms, each of which has their unique origins and styles. Two of the most popular massage types are the Swedish and deep tissue massages. The Swedish massage covers the entire body and uses firm strokes in order to loosen the tightened muscles. The deep tissue massage uses stronger pressure to help relief parts of the body that are feeling stress. There’s also the aromatherapy massage, which is like the typical massage but focuses on letting the client derive relaxation from the fragrance of essential oils. There are different kinds of oils used for aromatherapy, and the guest usually gets to choose which one they want. Sometimes spas create their own special oil products. Some massages include a hot stone treatment, where the therapist places warmed pieces of stone on the client’s body to help loosen the muscles. When applied properly, they can be incredibly soothing. 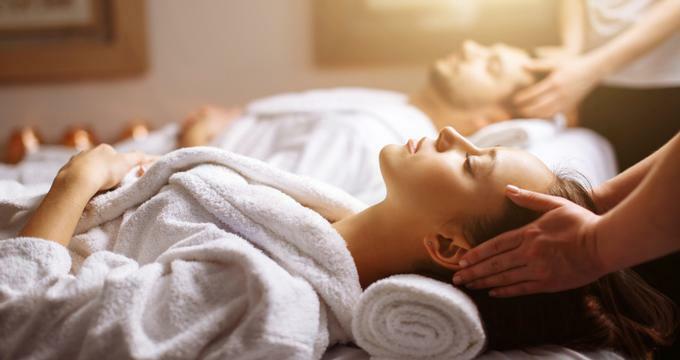 Massages are normally experienced alone, but spas offer rooms for couples so it can be a great idea for couple getaway as well. You’d be surprised with how many types of massages there are. Beyond the basics, you’ll also hear about special kinds of massages that employ unique techniques such as the sports and Thai massages and are not always available everywhere. For those who might be experiencing some pain or muscle injury, the sports massage could be worth a try. The massage was designed to help deal with strains and tensions caused by heavy physical activity, hence the name sports massage. In contrast, there are massages that are meant to be gentle and careful as well. For instance, the prenatal massage is mean for expectant mothers. This is a special kind of massage that can only be administered by trained professionals using special equipment. There are also a number of other custom massages that spas offer their clients, but the truth is that they’re usually a combination of different techniques that are meant to set them apart from the competition. If you have a specific purpose for getting a massage, the best way to get what you want is to consult both a doctor and a physical therapist to know which type of massage is best for you. Perhaps the second most sought after spa treatment is the facial. As the name of the treatment suggests, it’s a skin care treatment focused on the face. Some of these treatments have anti-aging properties while others focus on deep cleaning the pores. In spite of their variety, almost all kinds of facials cover the basic steps from cleansing to exfoliation. What really makes each one different is the kind of skin care product that’s used on the client to achieve the desired effect. Just like with essential oils, spas usually have their own line of facial products so that they can cater to different kinds of people who need the service. The ideal facial service for you could be determined by a number of factors, including your skin type. Again, the best way to know which of these is right for you is to get the advice of the spa’s therapist. There are also special kinds of facials that use special equipment, such as the gentle peel and even LED light therapy. Some of these can cost a little extra, but they are worth it since they tend to be more effective and are less invasive. The face, however, isn’t the only skin that can be treated by the spa. In fact, it is a little known fact that spas focus on caring for the body as well. Just like the face, the rest of the body could greatly benefit from cleansing and exfoliation as well. More importantly, many of these body treatments tend to be very relaxing to the body in spite of the rigorous cleansing process. Some treatments like the body scrub can help improve circulation all over the body as well, which in itself has tons of health benefits. After any of these treatments, the client is usually allowed to shower to remove any of the oils and products that were used during the treatment, leaving only fresh and rejuvenated skin. These spas also offer their body treatment products for sale so people can perform these treatments within the comforts of their own homes. Clearly, there’s so much that you can do at the spa that there’s at least something there for everyone. But if you want to make the most of your spa experience, don’t hesitate to mix and match the different spa treatments to give your body all the pampering it deserves. Not only do spa packages help you maximize your trip to the spa, but they also help you save on the total cost of the services as well.